The Prestige Series brings the legendary excellence of Baldwin into more homes and more hands. With the Prestige Series, any homeowner can instantly create an atmosphere of confidence from the moment someone knocks on the door. The decorative details incorporated into Madrina’s elegant, sweeping shape make it the perfect finishing touch to classic designs. The Venetian Bronze finish is hand-rubbed to reveal unique bronze highlights and provides a rich and warm complement to the product's style. 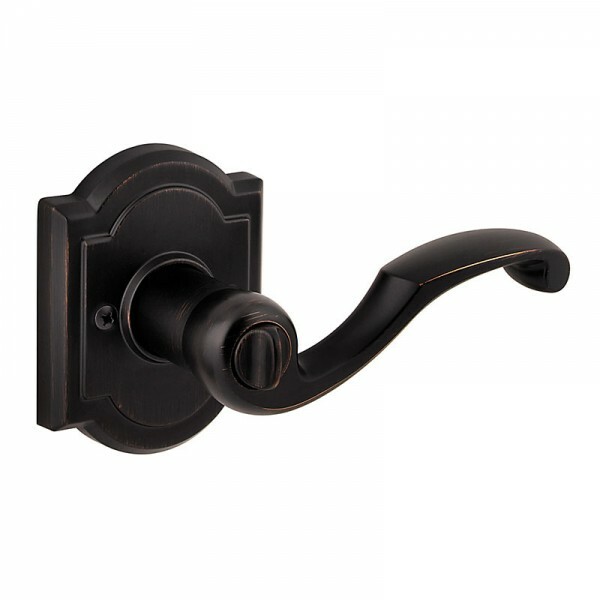 This privacy lever is best used in interior bed and bath applications where privacy is required. Both levers are locked or unlocked by turn button inside. The outside lever can be unlocked by an emergency key.